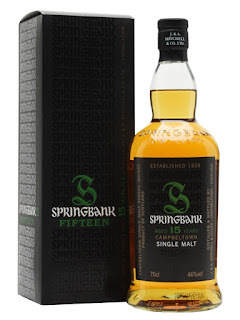 Today we have a Springbank comparison of two 15 year olds. The first is an OB miniature that I think had been sat on a shelf for a while and the other was a sample from Master of Malt from a IB. For those that don’t know, Springbank is an epic distillery that does every part of the process head to toe. 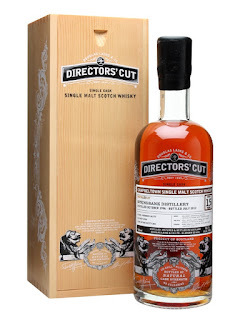 Very ‘old school’ whisky. You can find my distillery visit here. Nose: In short, lovely. Nutty Sherry, stewed fruit, raisin, sweet cherry, lit cigar, tobacco, great fresh malty note, oily malt, engine oil. A little floral too, heathery. Water: Graphite, chocolate, mineral, spice, oily nuts. Taste: Nutty Sherry on arrival, developing stewed fruit, raisin and light cherry, lovely oily malt, barley oils, slightly floral, slightly smoky, singed heather, light spice, start anise, liquorice. Water: Spicy, ginger, much more oak, some gun smoke, chocolate into the finish. Finish: Medium length. Some burnt heather, match smoke and quite plain oak. Notes: Not quite as good as the 10 I don't think, but of course still very good stuff. Nose: Sherry, cigar and Springbank funk. Oily and minerally- Lots of Engine oil and pencil lead (graphite), also gun smoke and lit match. A little sherried fruitiness but it's very atypical- Orange marmalade, some cherry and raisin. A little smouldering heather. Mint and earthy liquorice root after a bit. Water: More sherry, but liquorice, mint and graphite rather than fruit. Burnt vanilla pod. The graphite really takes over after a bit. More orange and leather. After time it goes more floral with cherry blossom. Taste: Huge, sweet and oily. A little smoky, gun smoke and smouldering heather (mouth drying), hugely oily with engine oil and graphite again, but big sherried sweetness- Cherry and raisin (mouth watering). Building oily spice- Cinnamon. Water: Creamier arrival, more oak with a spicier development- Ginger, lots of white pepper and cinnamon. Very dry now. More fruit with lots of orange marmalade, raisin, dried cherry and fig. A sour note after a bit- Sour oak and apple. After more time there's a floral honeyed note. Finish: Medium length. Drying sweetness recedes leaving oily earthy fruitcake and graphite. Ash with water. Distilled October 1996, bottled July 2012. 15yo from a Sherry cask. Douglas Laing for their most premium range. Cask 8700. Think there's some Sulphur in here but it works really well. At a reasonable price, I probably would have bought a bottle. Think it was about £100 but its all sold out now anyway.